Jumaldi Alfi and Ugo Untoro are leading Indonesian artists and members of a dynamic art community based in the central Javanese city of Yogyakarta. Join the artists for a conversation about their work and contemporary Indonesian art and culture, with artists Jon Cattapan (Director, Victorian College of the Arts), Sally Smart (Vice Chancellor’s Fellow) and curator Natalie King (Enterprise Professor) from the University of Melbourne. This event signals the launch of a three-year project between Indonesian and Australian artists, with a residency program and associated events. The program is hosted by the Victorian College of the Arts and the Centre of Visual Art, and supported by the Australia Indonesia Arts Forum and Project 11. 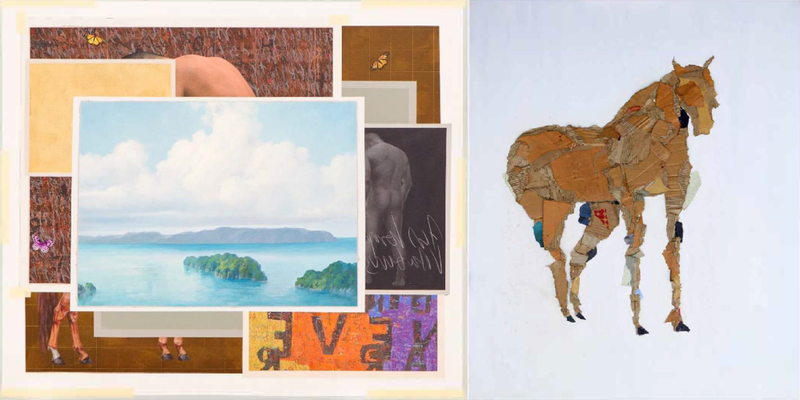 Image: (L) Jumaldi Alfi, Melting Memories, 2015, (R) Ugo Untoro, Ephos I, 2014.